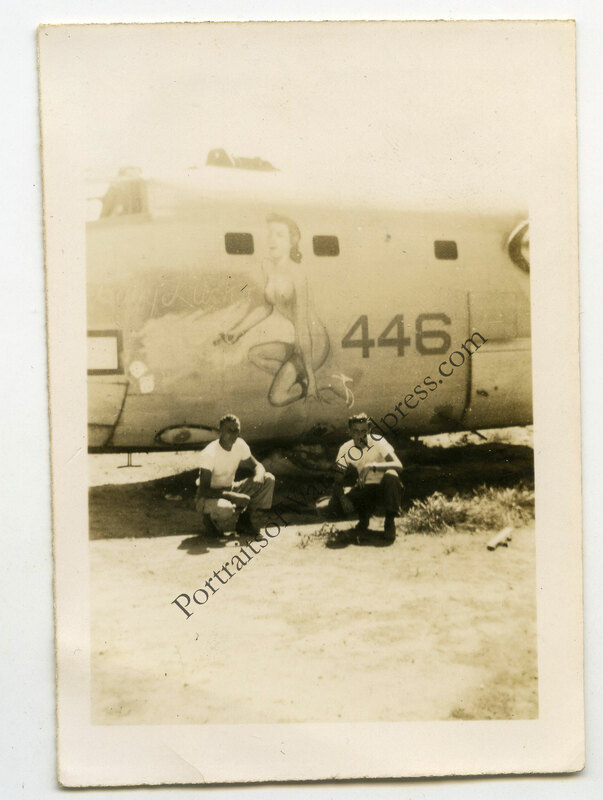 I recently had the esteemed pleasure of acquiring five nose art photos of PB4Y-2 airplanes. 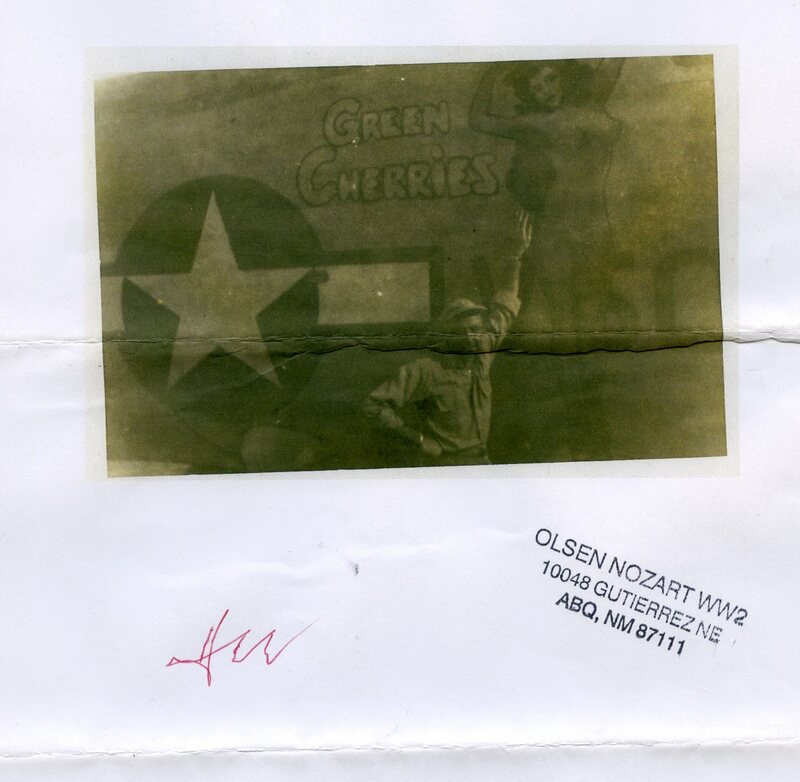 Using the power of the internet, I was able to look up four of the planes, the Green Cherries, and the Lady Luck II. With a bit of luck I tracked down the name of the original artist. 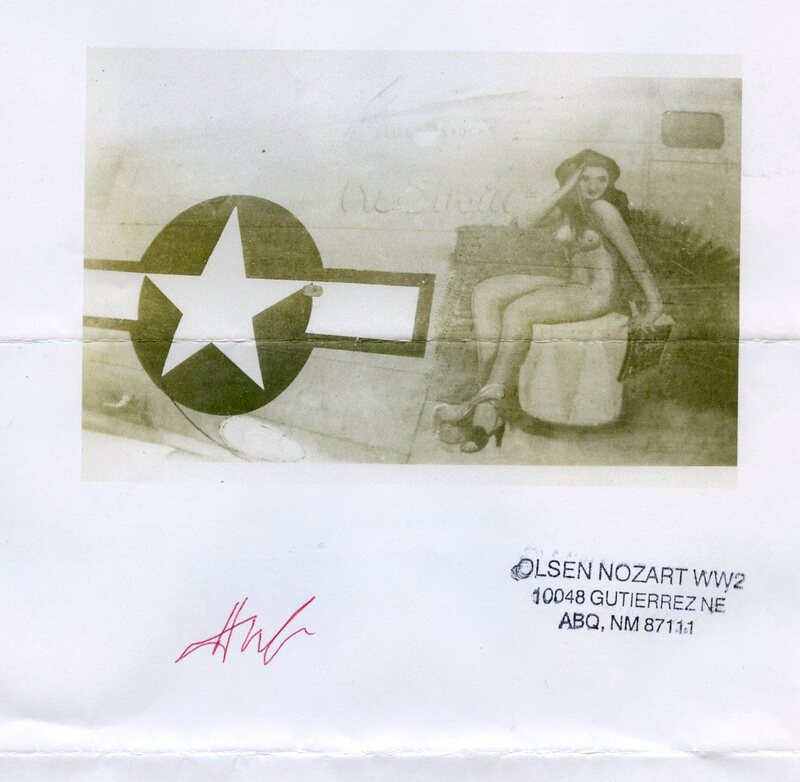 Hal Olsen painted over 100 nose art pin-up ladies on various planes in the PTO during his stint with the US Navy during WWII. He charged $50 per painting and eventually used the money to enter formal art school and travel with his wife. 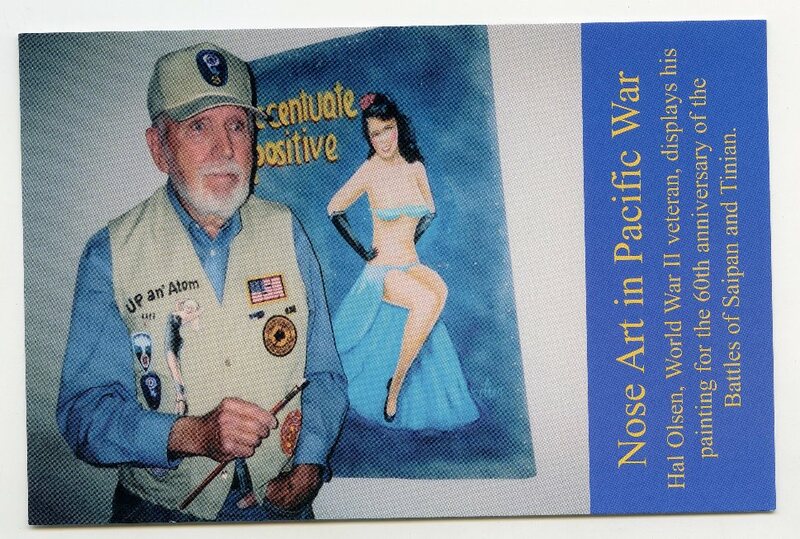 He is considered the last living nose art painter of WWII. 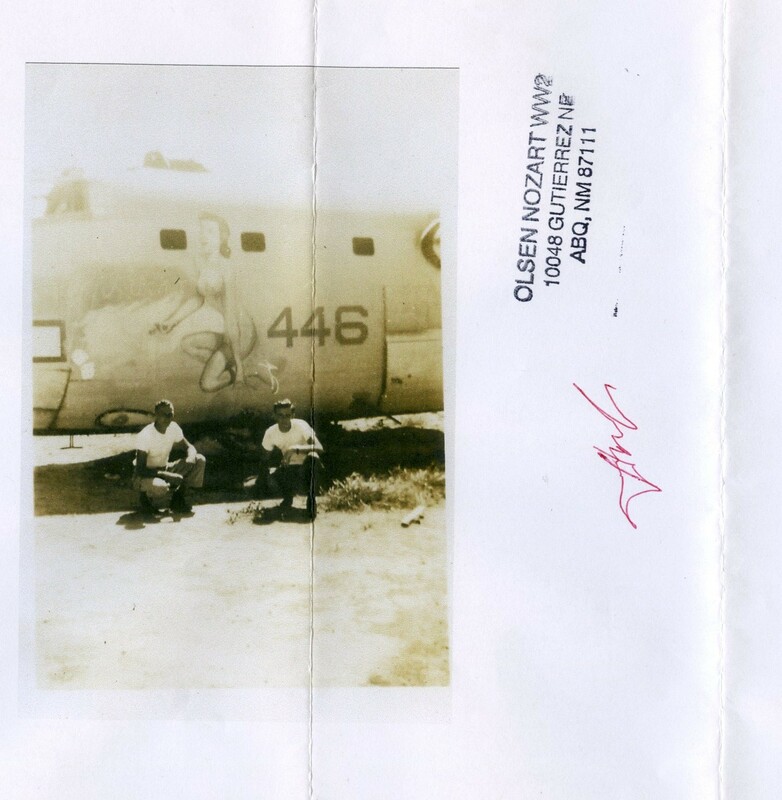 Having tracked him down, I wrote him a nice letter asking for his autograph and promising that I would send along some copies of my photos. He graciously signed all of my photos and added an inspiring letter with the group. Thanks Hal! You’re one for the story books. Special thanks to Dave Rowcliffe for providing this image watermark free! ← WWII Photos – P-39 / P-63 Kingcobra Fighter Plane Escorted by Female WASP Pilots to Russia! Lovely stuff! Always like these nose art paintings. 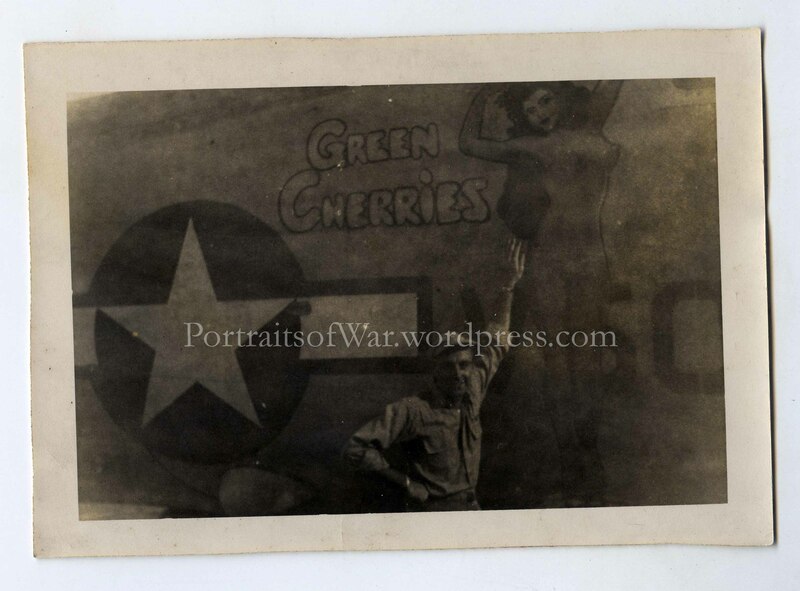 It takes a good artist to paint anatomically correct on a large, curved surface with paints that will also withstand the rigors of flying.